To share or not to share: is knowing your co-workers’ salary the key to closing the gender pay gap? Mish.Guru, a social media content and analytics start-up, has become one of the latest companies in New Zealand to endorse transparent pay systems as a way to tackle gender pay disparity. But are these shared models really as effective as they seem, or are they just another trendy, token gesture? Founded in 2014, Mish.Guru is a content marketing software that helps business create and manage campaigns on Snapchat and Instagram. After scoring investments from AngelHQ, Sparkbox, ICE Angels and various others the company started to transition their main revenue stream from service to product, as well as expanding to offices in Berlin, Sydney and New York. Despite solid success with clients like Paramount Pictures, Visa and McDonalds, Mish.Guru’s team knew that succeeding in the tech industry wasn’t easy, especially for the women in their team. Education consulting firm Crimson Consulting appears to have raised $US30 million in its latest capital raising round, largely from US billionaire Julian Robertson, according to Companies Office filings. Mr Robertson (who has an honorary New Zealand knighthood) and his investment vehicle Tiger Global Private Investment Partners contributed $US29.5 million while other supporters included former Seek executive Jason Lenga ($US150,000), Ice Angels ($US218,195) and Guy Wallace ($US98,530), according to a director’s resolution issued this morning. The Angel Association today welcomed the launch of AngelEquity, a new equity crowd-funding platform leveraging deals from New Zealand’s formal angel networks such as AngelHQ, Ice Angels and Enterprise Angels. “Early stage, high growth companies are always looking for capital. Without capital the growth path is exponentially slower,” said Suse Reynolds, AANZ Executive Director. The Angel Association exists to support those investing in these companies and welcomes any initiatives to help broaden and deepen the pool of capital available and raise the profile of the ventures they are funding. Angel Association members include the networks or clubs, early stage funds, investor-led tech incubators and equity crowd funding platforms. Suse Reynolds said she believed there is still plenty of room for growth and specialisation in this end of the capital markets. Early stage, high growth companies are highly risky investment prospects but they are absolutely vital for NZ’s future economic and social wellbeing. The companies our members are backing are the Xero’s, F&P Healthcare companies of the future. In order to give these companies the best chance of success what they need, along with the capital, is the exposure and support to the expertise and connections the capital can help deliver. 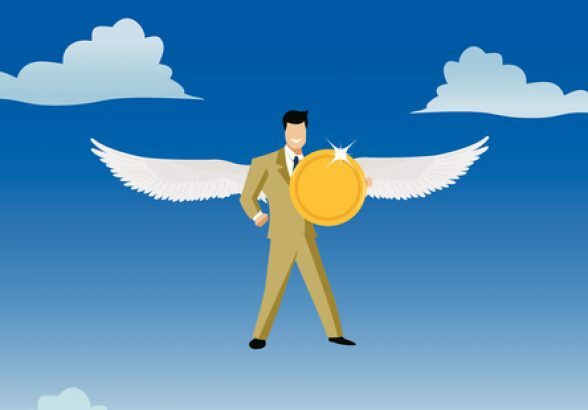 AngelEquity provides a link between the angel networks and individual high networth investors improving the prospect of those synergies being created. In 15 years The Icehouse Business Growth Hub has morphed from one owner manager programme and an incubator to a full suite of services for businesses, including an investment arm. CEO Andy Hamilton reflects on a satisfying journey. After a career spanning law, marketing and corporate investment, one winter’s day in June 2001 Andy Hamilton found himself standing in leased premises in Parnell’s landmark Textile Centre, with two months to organise a programme for owner managers. The BNZ would help source the 20 business owners, but meantime the programme had to be sorted, premises fitted out and start-ups found for the incubator. Working out of Auckland University, Andy was grateful for the support of the University’s Business School, and Geoff Whitcher and David Irving in particular. The next ArcAngels investment evening will be on May 25 at Ernst & Young. 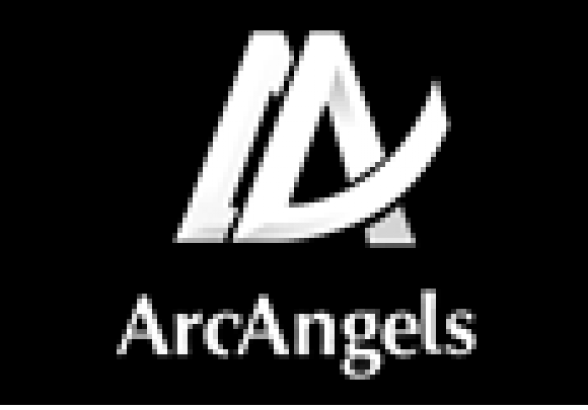 There have been a number of developments for the ArcAngels group. Firstly, Cecilia Tarrant has been asked by the Committee to step into the Chair role. Bridget Coates, while still very keen to be involved and very committed to the success of ArcAngels, has found that her work and travel schedule has been such that she hasn’t been able to give ArcAngels the time she wanted to and also feels it deserves. Secondly, Alex Mercer, who was doing all the day to day running of ArcAngels, has similarly been snowed under by work. Accordingly, Arc Angels have contracted the ICE Angels administration to provide some recources to run the network. Going forward, Kate Wightman, under the direction of Robbie Paul, the IceAngels CEO, will manage Arc Angels administrative functions. ArcAngels are really excited by this change. Among other rings it means the network will hold more frequent meetings. ArcAngels will also be able to access stronger and more robust deal flow by leveraging ICE Angels networks. They intend to offer more deals, many of which will be syndicated with other angel groups so that there will be a wider range of New Zealand’s great entrepreneurial investment opportunities. The emphasis, however, will continue to be on supporting women entrepreneurs. 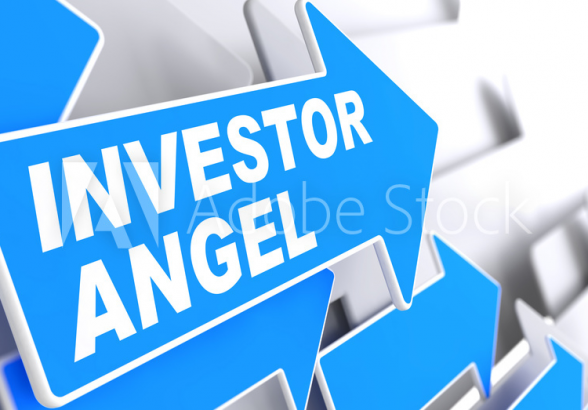 ArcAngels are keen to build their membership and so encourage you to get in touch, particularly if you are interested in attending the May 25 Investment Evening at [email protected]. New Zealand’s angel investors, a community which actively supports the development of new technologies, will be out in force at TechweekAKL. Angel Association of New Zealand member’s are involved in two key events, positioned right in the centre of the week-long celebration of all things new and innovative. [email protected]: 18th May, from 6pm, The Grid – book your seat here. Tech Innovation Showcase: 18th May, 3.30–5.50pm, Astrolab – apply for an invitation here. An important event revealing personal accounts of angel-entrepreneur relationships. It is a must-attend evening for founders, and would-be angels. In relaxed and informal format investors from Flying Kiwi Angels, AngelHQ, Ice Angels and Enterprise Angels will share their personal stories, including their individual entrepreneurial experiences, investment thesis, what they expect from entrepreneurs and how they help grow successful companies – alongside investing their money. 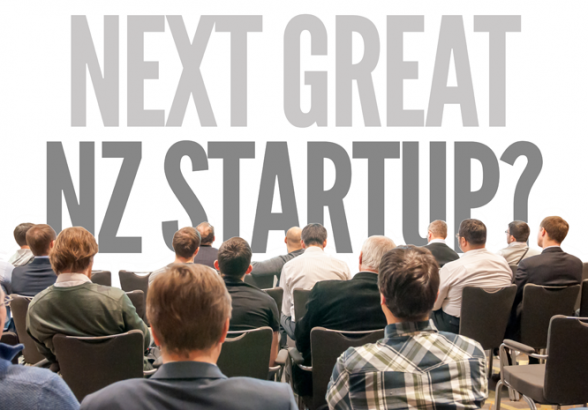 As well as bringing together angels, entrepreneurs and angel groups [email protected] event also brings together key organisations in our New Zealand innovation ecosystem. The event is being held at The Grid, organised by Venture Centre, and is only made possible with the sponsorship of AANZ, alongside New Zealand Software Association and AngelEquity. An opportunity for current angel group members to register for a private event focusing on some of the IP rich organisations emerging from government-funded Tech Incubators, Astrolab, Powerhouse Ventures and WNT Ventures. Set up by Callaghan Innovation the incubators are mandated to draw complex IP from Crown Research Institutes and NZ University R&D departments for commercialisation. The event is being held at Astrolab for an invitation click here. Mountains of slag all over the world are a Kiwi company’s idea of great riches. The waste from mines is dumped into mounds so big that they can generate their own weather patterns — but New Zealand company Avertana says they can each be worth half a billion dollars. Avertana is a start-up company that has received a kickstart from a new fund set up by The Icehouse innovation hub and its investors ICE Angels. The largest gathering of early-stage angel investors in New Zealand along with more than 50 international angels with interest in cross-boarder investment joined together in Queenstown, NZ in October 2015. # Debra Hall from Ice Angels NZ kicks off proceedings with an outline of the angel market in New Zealand and highlights of the year. The AANZ backs calls for more wealthy migrant money to be directed into early stage ventures. Some of our most active and effective angels are migrants. We need more! Growth-focused investments should be required over passive ones such as government bonds, says report. High-profile business organisations are calling for investor migrants to be required to channel more cash into productive, growth-focused New Zealand investments rather than safer options such as bonds. Almost 80 per cent of investor visa recipients’ funds currently ends up in government and corporate bonds, according a paper published by professional services firm KPMG. “Whilst these [bond investments] are still beneficial to New Zealand, some simple changes to our immigration policies can bring diversity and may help better leverage these migrants’ funds and valuable networks to help New Zealand business grow and expand,” KPMG said. Business incubator The Icehouse, which is also calling for a policy overhaul, describes passive investments such as bonds as “lazy money” that does nothing to address capital constraints facing companies. KPMG said Kiwi businesses would require more than $420 billion in capital by 2025 to support the export growth required to achieve the Government’s Growth Agenda. Its analysis suggested a $115 billion shortfall that would need to be funded by foreign investment. Canada and Australia already require a portion of investor migrants’ funds to go into “at risk” investments. New Zealand’s current investor immigration policy, which came into force in 2009, has attracted over 1600 applicants with over $3.7 billion to be invested into this country, according to KPMG. There are two visa categories – Investor Plus and Investor – for migrants who want to use their capital to gain residence in New Zealand. The latter requires a minimum of $1.5 million to be invested for four years, but applicants must be 65 or younger, meet English language requirements and spend at least 146 days in New Zealand in each of the last three years of the four-year investment period. They must also provide $1 million in settlement funds. Investor Plus migrants must invest at least $10 million for three years but face no language or age requirements and have to spend only 44 days in New Zealand in each of the final two years of the investment period. • Introducing a third investor visa category requiring $5 million to be invested, 10 to 20 per cent of which would have to go into growth investments such as angel, venture capital or small cap private equity funds. In return, other requirements would be reduced or eliminated. • Amending the Investor Plus category to require a 10 per cent (or higher) investment in growth capital funds or direct investments. Icehouse chief executive Andy Hamilton said migrant capital could also be deployed in other areas, such as creating new residential housing stock or regional economic development. KPMG said a portion of migrant investor funds – possibly 20 per cent – should be invested into angel or venture capital. “This could be through a designated fund which has the same investment profile as the [government-backed] New Zealand Venture Investment Fund (VIF). Angel Association executive director Suse Reynolds said changing investor migrant rules to direct a portion into growth investments would provide a “terrific boost” for early-stage companies. She said early stage investment would also help migrants integrate into New Zealand society as it was “a very collaborative affair”. Congrats to StQry Inc – now Area360 – who have raised US venture funding. Terrific to see the acknowledgement they have given to the wider ecosystem including angel investors in their success to date. 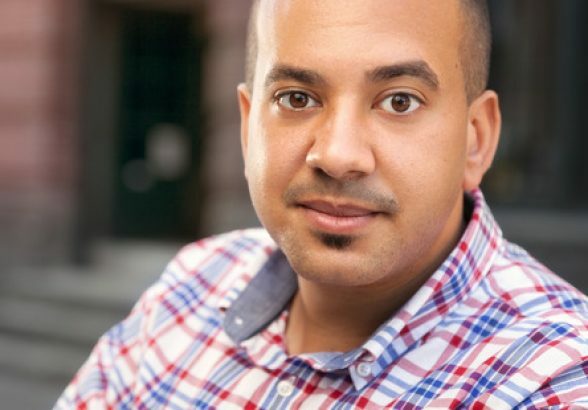 Wellington startup Stqry (pronunced “story”) has closed an initial $5.5 million funding round and announced a name change as it expands off-shore. Now named Area360, the company’s software allows organisations such as museums, art galleries, airports and hospitals to engage with customers through geo-location technology – including beacons, GPS and WiFi – helping them to discover, connect and engage with what’s around them. The startup was formed in 2012 by Chris Smith and Ezel Kokcu and now counts more than 400 customers worldwide – including Emirates, Te Papa, Seattle-Tacoma International Airport and the Smithsonian Museum in Washington D.C.
“We started AREA360 to give organisations the ability to enhance their customer experience by providing navigation as well as relevant information and unique opportunities along their path,” Smith said. “Using beacon and other location data, our platform enables customers to create a broad portfolio of useful services. The funding round was led by US technology venture group Madrona Venture Group and comes as they were expanding their Wellington office and opening their US headquarters in Seattle, Smith said. Area360 had received support in New Zealand from advisors Gareth Morgan, Dion Mortensen, Alan Gourdie and Sven Baker, as well support from organisations including the Callaghan Innovation, NZTE, Grow Wellington, and the ICE Angels. “The support from New Zealand’s startup community helped us to thrive and our customer response has been overwhelming,” Smith said. New Zealand Trade and Enterprise (NZTE) customer manager Mike Evans said the company was a great example of an ambitious New Zealand tech company growing internationally by entering new markets. “Over time” and “over budget” are two phrases well known to anyone working in construction, so a couple of industry veterans have seized on these perennial pain points to create a high-tech solution they believe has global potential. Antonia and David Speight are the entrepreneurs behind Acuite, a cloud-based web application that provides real-time visibility into the performance of construction projects. It’s designed for those managing large-scale commercial jobs, helping them assess critical metrics as they are happening, such as time, cost, quality, health and safety, and relationships with subcontractors. The Speights know first-hand about the risks involved in managing commercial construction projects, with David’s experience on the building contractor’s side and Antonia’s on the client side. “If you look into industry statistics you’ll find about 75 per cent of projects go over budget and 90 per cent are delayed,” Antonia said. David said current solutions did not allow users to access information with the kind of timelines needed in the fast-moving environment. Early last year the couple decided to test their idea, joining business growth centre The Icehouse’s business incubation and market validation programme. The process gave them confidence there was a market for their concept and in October last year they came up with a visual concept for Acuite. They presented it to three major construction companies, convincing them to come on board as trial customers and have since been developing the software with those industry partners. The pair have been working full time on Acuite since October. The company also recently gained $500,000 of seed investment from the Auckland early stage investment group the Ice Angels and the national female investor-led group the ArcAngels, allowing them to grow their team and push ahead the development of the product, which is due for official launch this year. A key feature of the 2015 Asian Business Angel Forum is its international focus. The forum, bought to New Zealand by the AANZ, runs 14-16 October and has attracted leading early-stage investors from over a dozen countries. 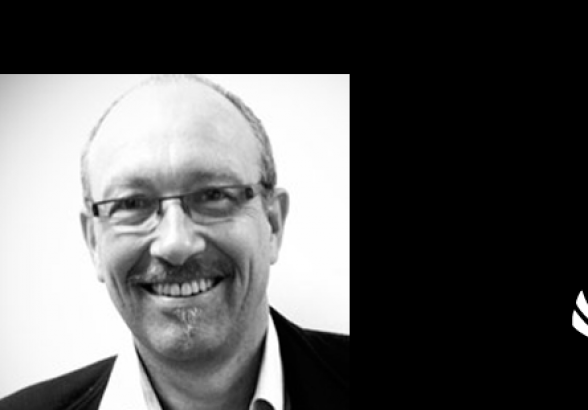 Among a stellar group of thought-leaders the AANZ is pleased to welcome Bill Payne. A genuine rock star of angel investment. 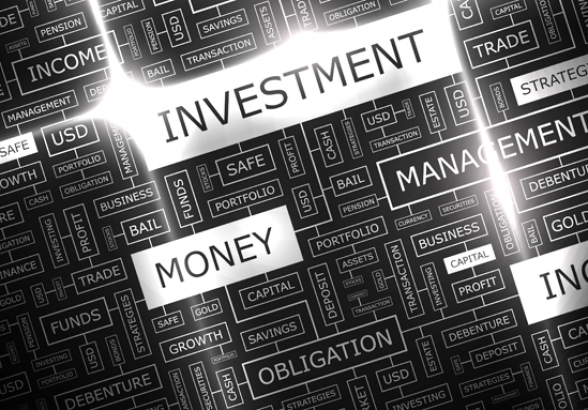 Bill is internationally recognized as one of the most senior and experienced experts in angel investment. He is an engineer, entrepreneur, angel investor and educator. For over three decades, Bill has successfully founded and invested in over 50 start-up companies, including Solid State Dielectrics, Inc., an electronic materials company he founded in 1971 and sold to E. I. DuPont in 1982. From 1995 to 2007 in his role with as an Entrepreneur-in-Residence with the Kauffman Foundation (Kansas City), he worked on educational programs for entrepreneurs and their investors, including eVenturing.com and the Power of Angel Investing seminar series. While with Kauffman, he was also actively engaged in the formation and startup of the Angel Capital Education Foundation (now the Angel Resource Institute) and the Angel Capital Association. Bill graduated with BS and MS degrees in Ceramic Engineering from the University of Illinois, where he has served on the Dean’s Board of Visitors of the College of Engineering. His eBook, the Definitive Guide to Raising Money from Angels is available on his website at www.billpayne.com. He and his wife Ann are residents of Henderson, Nevada and Whitefish, Montana. 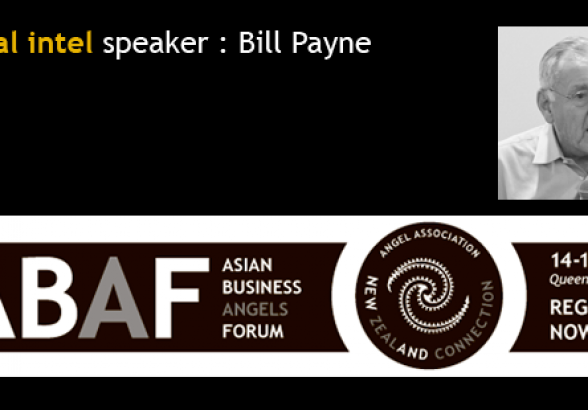 You can meet Bill in person, along with a host of angels from New Zealand’s angel investment community and the world by securing your seat now at one the southern hemisphere’s largest international exclusive angel investor events Asian Business Angels Forum, Queenstown, New Zealand, October 14-15. More wonderful ‘angel food’ being delivered by Lightning Lab. Congratulations to all those involved and best of luck to the companies for successful first rounds. More than 300 investors are being offered the opportunity to invest in their choice of nine Auckland technology start-ups. Auckland’s first Lightning Lab programme comes to a head at Spark’s headquarters on Thursday night as start-ups in a Dragon’s Den-style pitch their businesses to investors in the hope attracting funding. The start-ups in the programme are Wearit, BrokerBetter.com, Justly, Roll, Designer Wardrobe, Logicore, Preno, Future Insight and Estimeet. All up they were looking to raise a combined total of about $2 million, MacLeod- Smith said. Lightning Lab gives selected start-ups $18,000 equity in exchange for an 8 per cent stake in the business. The Lightening Lab is a digital accelerator programme run in partnership with incubation hub The Icehouse. 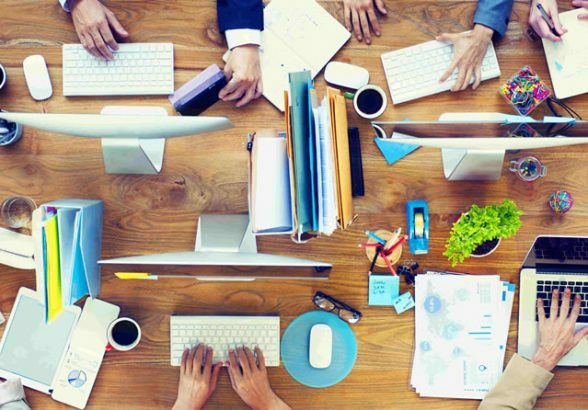 Founded by Wellington incubator Creative HQ, Lightning Lab mentors digital start-ups over 12 weeks, providing them with the skills and support to launch their businesses. Auckland Lightning Lab programme organiser Mark MacLeod- Smith said each start-up was given eight minutes to stand up and sell their company, during which time investors were not able to ask questions. After all the pitches had been presented the start-up owners networked with investors who then carry out due diligence over several weeks before deciding to invest in any of the companies, MacLeod- Smith said. Another brilliant example of the aspiration and energy angel backed companies have for growth and value creation. Congratulations to Ice Angels and John O’Hara who are leading this deal. Auckland company AskNicely has launched an immediate, email-based feedback system to help companies know whether their customers are driving away happy. 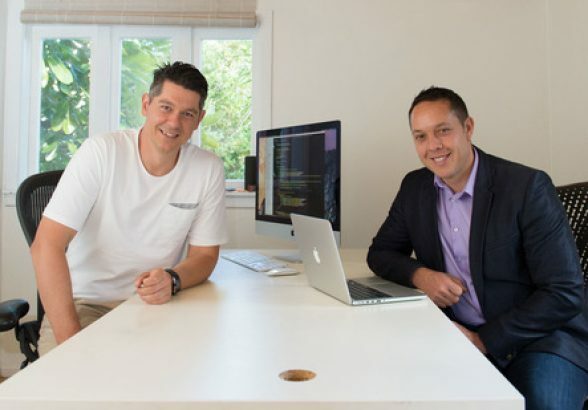 Aaron Ward and John Ballinger launched AskNicely from their Parnell garden shed in November and have since seen customer growth double monthly to 1000 clients, with no signs of slowing, according to the pair. Ward, who has a background in corporate marketing, said net promoter score systems had become a key barometer for measuring customer satisfaction in a lot of companies, ranking service and product based on ratings from questionnaires, but often by the time feedback had been received it was a few days or even weeks down the track, and the lengthy questionnaire often put customers off placing feedback. “Everybody hates answering surveys so what we’ve done with AskNicely is break all of the conventions around traditional surveys,” Ward said. According to Ward, the biggest difference between AskNicely and other surveys is the response time, with results from AskNicely collated and reported immediately so that any issues or feedback can be resolved. Ballinger said time was particularly important when it came to negative feedback for a brand or company, where leaving an issue unresolved could result in further complaints from customers and potential damage to a brand or firm’s reputation. According to Ward, response rates from customers using AskNicely were also up to five or six times higher than using regular net promoter score (NPS) systems, and the platform filled a previously vacant market niche for small to medium companies that could use the software as a service model on the scale they wanted from a free service for less than 100 surveys a month and scaling up in cost for larger companies sending out up to 100,000 surveys each month. “Beyond any other marketing tool, positive word of mouth has become the holy grail of business success,” Ward said. “Until now, businesses unable to afford the six-figure price tags for NPS have put up with conventional survey platforms that get poor response rates (less than 10 per cent) and deliver feedback too late,” he said. The pair had always aimed to be a global company and with 80 per cent of new customers coming from overseas and more than half of these in North America, where Ward said the NPS market was particularly strong, they saw the company’s success internationally as a good sign for New Zealand start-ups in general. “We’re both very passionate about the idea of New Zealand tech start-ups taking on the world and while we’re effectively going global from a garage,” Ballinger said. “Where have you been?” was BreatheEasy CEO Andrea Miller’s question to Christchurch angel investors last week. Over 50 people turned out to Canterbury Angels’ inaugural investor evening, coming just weeks after the new group was formally launched and after months of planning from the middle of 2014 when the idea was conceived by a group of people involved in the city’s technology sector, with the active encouragement of other members of the Angel Association. Founding Chair of Canterbury Angels, Ben Reid, introduced seven enterprises to the audience, including local companies Geozone and Linewize (alumni of Canterbury Development Corporation’s 2014 Hi-Growth Launch Programme) as well as Menumate and DebtorDaddy. The line-up also included companies introduced by other Angel Association New Zealand (AANZ) partners: Skemaz (thank Angel HQ), and headline by LittleLot (IceAngels) and BreathEasy (IceAngels/Pacific Channel). Feedback about the event, hosted by Duncan Cotterill, has been universally positive from both investors and founders and the organisers are already looking forward to future similar events. 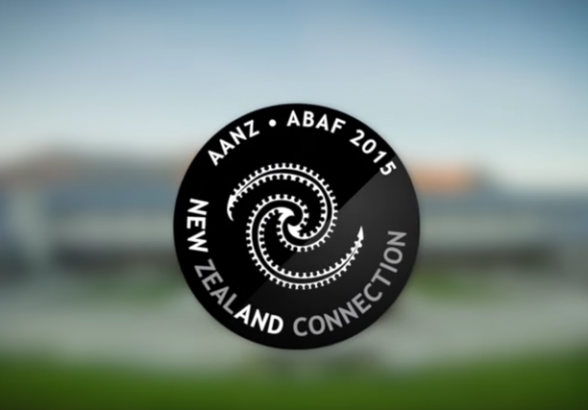 Review some of the greatest moments from AANZ Annual Summit 2014 in Auckland. We have prepared a selection of videos from some of our notable speakers. This first one features Suse Reynolds’ opening and introduction to the Angel Association New Zealand Annual Summit 2014 from Chairman, Marcel van den Assum and guest Hon. 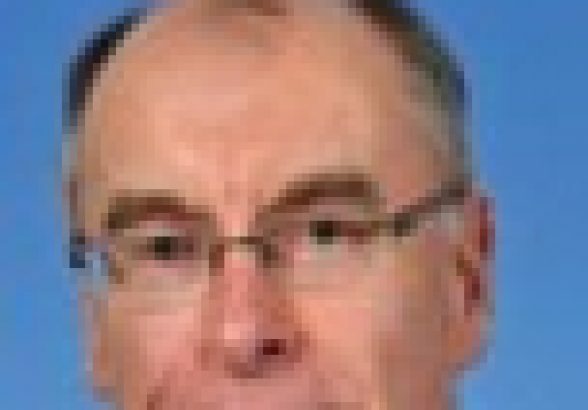 Stephen Joyce, MP. Ten New Zealand startup companies could be getting fast tracked into the business world, with the launch next year of Auckland accelerator programme Lightning Lab. The programme was founded by Wellington-based Creative HQ, which has since run two rounds of the Lightning Lab programme. 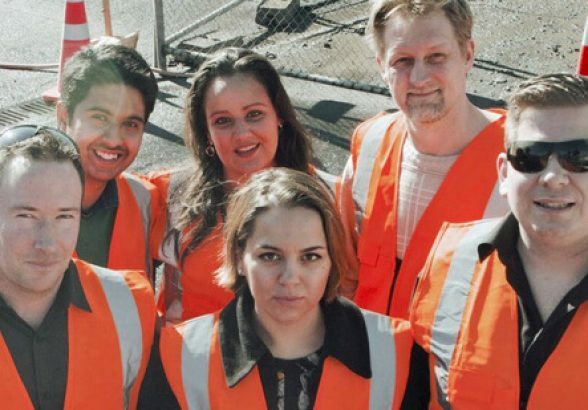 The success of the three-month mentoring programmes has led to expansion into Auckland and Christchurch. Lightning Lab Auckland director Mark MacLeod-Smith said the programme was a great opportunity for start ups to accelerate their growth with seed funding from the programme as well as mentors and support. “There’s a lot of companies up here that are looking for funding and looking for expertise and networks, and so that’s what we’re trying to provide,” MacLeod-Smith said. 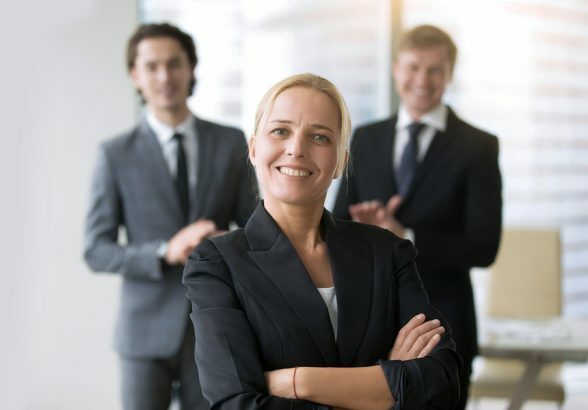 Ian Bishop, chief executive of coaching administration business CoachSeek which went through the Wellington programme last year, said the experience and guidance it had provided had significantly accelerated company growth. CoachSeek now has more than 400 customers in 40 countries, with Bishop saying that the company “simply would not be where [it is] today without having gone through the Lightning Lab programme”. “I think the main thing for me is especially the early days of any startup, are absolutely crazy, and so Lightning Lab provided a proven structure to the early stage chaos,” Bishop said. The 10 companies will be selected early next year, with applications for the programme closing on December 17. Each of the companies receives seed funding of $18,000 as well as mentoring and programme support from a group of tech and business mentors, with the Lightning Lab programme taking an equity stake in each of the companies in return. This year’s mentors include Greg Cross from PowerbyProxy, Vaughan Rowsell from Vend, Ben Young from digital agency Young & Shand, Claudia Batten entrepreneur and a number of others. MacLeod-Smith said the Lightning Lab team would be looking for digital and technology companies of a range of sizes and backgrounds. “We’re looking for companies with anything from an idea with initial work, through to paying customers with revenue,” MacLeod-Smith said. Applications for the programme close on December 17, with accepted companies chosen next year. The programme runs from March through to May. What is the Lightning Lab programme? Lightning Lab is a 12-week intensive mentoring programme for startup companies providing mentors, networking and seed funding. Any small to medium company with an idea and a team through to a formed company with customers and revenue. When do companies need to apply by? Applications for the programme close on December 17. Ian Bishop was buried in paperwork. He was spending almost as much time in front of his computer as with clients on the tennis court. Bishop went shopping, and was surprised to find nothing like a Vend (software solutions for retailers) or Xero (accountancy software for small businesses) occupying the sports management niche. So together with his business partners, IT sales and marketing manager Shaun Fitzmaurice and web developer Matthew Skilton, decided to invent something. They called it Coachseek. 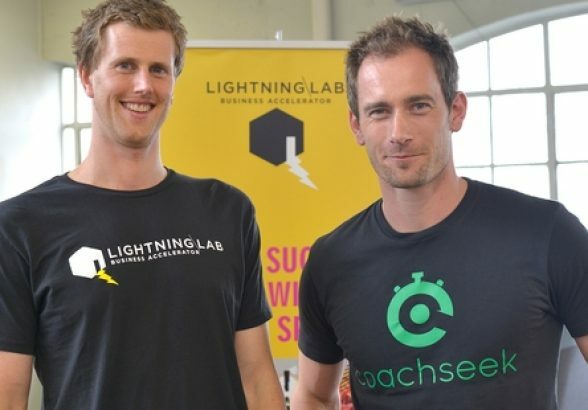 After putting the business concept through its paces in Wellington’s business accelerator Lightning Lab, they realised they had stumbled on to a much more common problem than anticipated, says Bishop, chief executive of Coachseek. “We surveyed hundreds of coaches around the world, across many disciplines, and found that 80 per cent were using some form of spreadsheet or paper-based system to run their business, all to varying degrees of accuracy and reliability. Bishop says he’s seen how technology has filtered into the everyday life of a sports coach, from heart-rate monitors to video analysis apps, but it hasn’t really reached the back office. Coachseek pitched for funds at Lightning Lab’s May demonstration day. By September, the company had secured more than $450,000 through Auckland’s angel (early-stage) investment group Ice Angels and Wellington’s AngelHQ. New Zealand entrepreneurs have had a chance to woo potential investors at an annual event similar to Dragons’ Den. Known as the Ice Angels, the group of investors have had about $35 million under investment since its inception in 2003. Ray Thomson, the Auckland-based director of several budding Kiwi companies and a long-term angel investor and early-stage investment champion has been awarded the prestigious Arc Angel Award at the 2014 Angel Summit in Auckland this week. The Arc Angel Award is the highest honour New Zealand’s angel investment community can bestow. It recognises someone who has steadfastly championed the cause of angel investment and the investors who are willing to give a significant amount of time and money to help those start-ups and early stage companies, and particularly the entrepreneurs who risk all to establish those companies, to reach their potential. 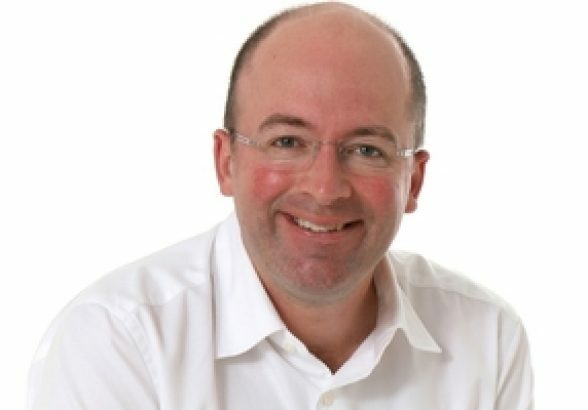 Ray Thomson joined the ICE Angels in 2007 following an active and extensive career as a share broker, director and chair of a number of different investment groups. He has invested more than $1 million through the ICE Angels and directly into more than 25 companies, including Biomatters, Nexus 6, Inro, Drumleaf, Caldera, IM-Able, Nextspace, Booktrack, Parrot Analytics, Footfalls & Heartbeats, Varigate, Puteko, GreenButton, Manuka Health and Supreme Biotechnologies. He was a member of the ICE Angel’s Advisory Board from December 2010 until December 2013 and was the inaugural recipient of the William H. Payne Active Angel Award in November 2010 for being the most active ICE Angels’ Investor. He is on the Global from Day One (GD1) Fund Investment Committee and serves on a number of boards including Manuka Health New Zealand, Supreme Biotechnologies, Rush Digital Interactive and the Institute of Directors. Former Arc Angel winners include Phil McCaw, managing partner of investment firm Movac; The Warehouse founder and long-time angel investor Stephen Tindall; Andy Hamilton, chief executive of Auckland-based incubator and business educator The Icehouse; and US super angel and Kiwiphile Bill Payne. The sixth annual Angel Summit in Auckland was attended by over 120 delegates including investors from New Zealand, Australia and the United States. The Summit included an investment showcase in association with the local angel network, ICE Angels, where 12 high-growth companies, all with global aspirations, pitched to a packed house of investors. Another example of the excitement and cut through innovative, high-growth NZ companies can generate. Shuttlerock backed by Ice Angels and others who want to lift NZ higher is getting real traction in the US market. The Angel Assn, with backup from Ice Angels is delighted to support the creation of an angel network in Northland. 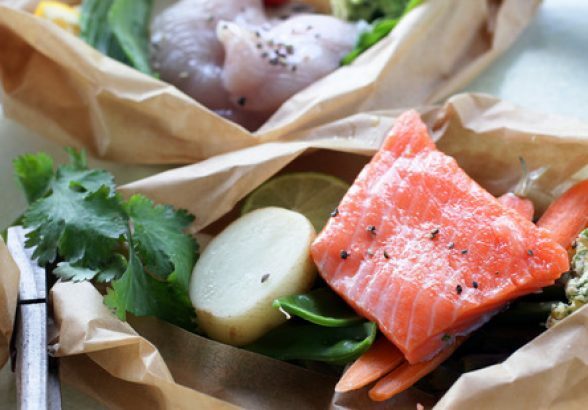 There is nothing supernatural about the investors that will consider the business pitches of two Northland companies next month – they just have the capital that start-ups need and are hungry for some tasty returns. The New Zealand Angel Association is operating networks in Auckland, Tauranga, Wellington and Queenstown, connecting investors with early stage companies. Through Ice Angels in Auckland, economic development group Northland Inc has so far engaged up to 20 investors in Northland. Two Whangarei companies, and one from Auckland, will face the panel of Northland angels in October. The companies have IT-based pitches and have been working with Northland Inc to perfect their applications before meeting investors. Their training has focused on due diligence, business opportunities and presentation skills. 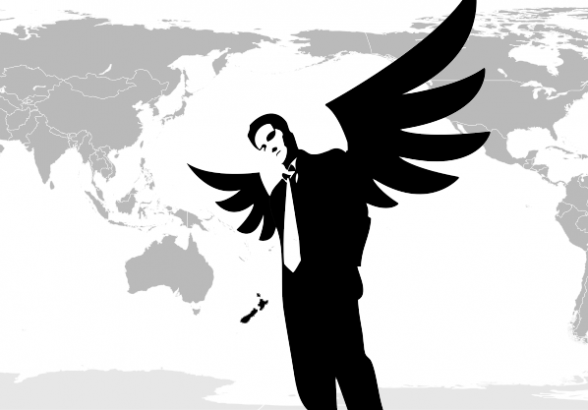 Suse Reynolds, executive director of the New Zealand Angel Association, said individual angels invest between $5000 and $100,000 in any one deal. They often have up to 20 deals on the go at any one time and accept that 50 per cent of deals will flop. “Angel investing is such a powerful thing to do for a local economy. She said some angels preferred to remain under the radar. Mostly, they are looking for a meaningful return. The association offer networks and also funds, which companies can apply for, with or without opportunities for mentoring and strategic influence. Currently, angels must earn a net $200,000 per year for over two years or have access to assets worth $2 million or more. Financial Markets Authority reforms would soon allow smaller investors to come on board, thus expanding angel networks for smaller deals. Technology is one of the network’s preferred areas of investment. Networks are also accredited with the Seed Co-Investment Fund, allowing for potential for qualifying transactions to receive the matching Government funds. Joseph Stuart, general manager of business growth at Northland Inc said as 25 per cent of New Zealand’s top 50 rich listers had homes or holiday in the east coast of Northland, we have plenty of angels. Mr Stuart said Northland offered an attractive lifestyle to business people, which was perhaps why we had so many potential investors here. “Lots of wealthy New Zealanders come here on holidays, but have they been approached to become investors and mentors? New rules enable firms to raise up to $2m a year without having to issue a prospectus. Around a dozen companies have indicated interest in setting up crowd-funding or peer-to-peer lending platforms as new rules come into force making it easier for businesses to raise capital. The first regulations in an overhaul of capital markets law came into effect yesterday, opening the door for these new platforms to be set up. Equity crowd-funding involves members of the public providing capital to businesses in exchange for shares. The new regulations introduced by the mammoth Financial Markets Conduct Bill, which came into force yesterday, enable companies to raise up to $2 million a year in crowd-funding without having to issue a prospectus. Peer-to-peer lending, which allows businesses or individuals to borrow funds from the public, usually through an online platform, is also covered by this new regime. Both equity crowd-funding platforms and peer-to-peer lenders need to be licensed by the Financial Markets Authority. The FMA has already received around a dozen “expressions of interests” for these licences, which companies could apply for from yesterday, a spokeswoman said. “While applications will not be processed overnight the process is expected to take a matter of weeks rather than months. However, this will also depend on the quality of information provided by applicants,” she said. As well as paving the way for equity crowd-funding, the new regulations also allow for companies to raise up to $2 million from 20 investors in a year without needing to issue a prospectus or investment statement. New Zealand Private Equity & Venture Capital Association executive director Colin McKinnon said this “small offer” provision would make the capital raising process easier and mean there aren’t as many hoops to jump through. The Icehouse chief executive Andy Hamilton said the provision would save the likes of the Ice Angels investment network “a substantial” amount of time. McKinnon said the capital-raising sections of the law would contribute “to a vibrant capital market from angels [networks] through to private ownership to the public market”. It makes salmon and cooked shellfish red. It’s in demand from marathon runners, performance athletes and the sports recovery market as a food supplement and its antioxidant qualities mean it may be beneficial in treating cardiovascular, immune and neurodegenerative diseases. Auckland businessman and angel (or early stage company) investor Ray Thomson also stumbled across astaxanthin and Dowd’s fledgling astaxanthin company Supreme Biotech while at the Natural Products Conference in Nelson in 2010. Traditionally New Zealand angel investors have been reticent about biotech but the sector’s image has been boosted recently by the outstanding performance of cancer diagnostics company Pacific Edge, says Thomson, who’s also chairman of the NZ Angel Association. With revenue now at about $1 million a year, Thomson predicts Supreme Biotech is about six months away from breaking even and unlikely to need another angel funding round. An Auckland company whose software helps businesses and workers communicate about career development plans to expand into America and open an office in San Francisco with help from the Ice Angels investment network. 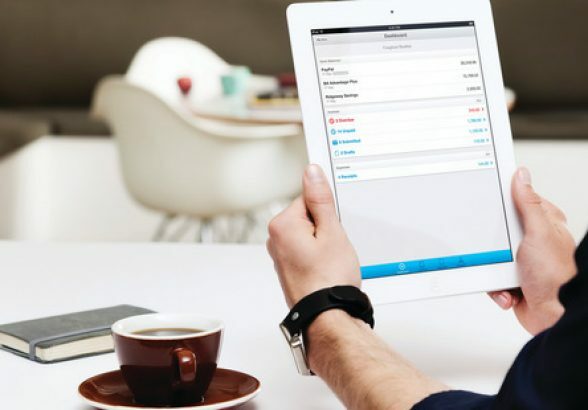 Career Engagement Group’s cloud-based software, Fuel50, is used by about 40 organisations worldwide and locally, including Westpac, Frucor, Zed, Fisher & Paykel Finance, and Fonterra. The software is designed to help workers with career development within an organisation. The company was launched two years ago and had five staff at the end of December but expected to double in size by March, Fulton said. It has recently secured more than $1 million of funding from the Ice Angels investment network and plans to open an office in San Francisco early this year. Imagine you’re charged with managing a number of rural properties from a distance. Private landfill sites or parks and forestry land, for example. How would you protect against fly-tippers (illegal dumping), vandals or arsonists? Video surveillance is expensive and technically difficult, especially when your locations are far from your base. Transferring your surveillance footage from one place to another needs a high-capacity broadband connection, which isn’t available in many remote locations. Husband and wife entrepreneurs Helen and Scott Wattie founded their business Mi5 Security with business partner and director Nick Mooyman and decided to target this untapped potential market. “Technology’s solving a problem where once only a human response was possible,” Helen says. Mi5 uses the cellular network and its proprietary cloud computing platform, iDefigo, to keep tabs on remote locations. This simplifies surveillance and monitoring of remote environments, even where power and Wi-Fi aren’t readily available. Surveillance footage can be transferred using only modest amounts of bandwidth. The business is based on four interwoven revenue streams – video surveillance as a service subscription via the cloud, mobile data services, platform licensing fees and hardware sales. But the Watties soon realised having a product on the market and their business processes and structures in place weren’t enough if they wanted to develop the business quickly. They approached angel investor and entrepreneur Scott Gilmour for advice on raising capital to fuel their expansion plans. They’d first met Gilmour through the Software Association. Initially, it was not their intention for him to invest in the business – they simply wanted his advice on where to look for investment, says Helen. Gilmour, meanwhile, was an established angel investor, having worked at Intel for more than 12 years and was founder of the “I have a Dream” charitable trust in ths country. Mi5 security was an interesting-sounding investment opportunity, he says, but he was initially more attracted by the founders’ commitment to the company. Gilmour is a founding member of the Ice Angels, the largest group of angel investors with more than 100 members. With a decade of Ice Angels experience, as well as seven years on the advisory board of Trade and Enterprise’s Beachheads Initiative (which connects companies to a network of private sector advisers), Gilmour says between 30 and 40 companies present their business plans to him every year, but few grab his attention like Mi5 did. Gilmour became chairman of Mi5 Security in July last year and has since raised more than $1 million in two finance rounds, helping pave the way for the company’s expansion into Britain. From their earliest discussions Gilmour understood Mi5’s proposition, Helen says, and having such a good and committed chairman has been instrumental in helping the company to grow quickly. Like many high-tech start-ups Mi5 isn’t profitable yet as it’s reinvesting for growth, but it already has many customers here and in Australia and channel partners, as well as a growing UK and mainland European presence. But it faces the same challenges all Kiwi tech companies do, says Gilmour: access to capital, management capabilities and distance from market. So the Watties are now based in London. Produced in conjunction with the Angel Association of New Zealand. Steve Haythorne says his Mobot can save firms thousands. In his past life as a supply chain manager, entrepreneur Steve Haythorne would send 30,000 loaves of bread from Auckland to Whangarei each night. But he noticed a problem – each of the three trucks it took to do the job was only 60 per cent full. Haythorne’s conundrum stemmed from a baking industry convention: standard loaf crates were stacked in piles of 12 or 13, which was as high as they could be stacked to allow the delivery guys to heft them around on a handbarrow and reach the top to unload. The stacks were too low to fill up the trucks, but still heavy and dangerous, Haythorne said. After searching for some handling machinery that could do the job better drew a blank, Haythorne set about creating his own. The result is Mobot – an all-electric, stand-on, zero-turn device designed to move items that are too small for forklifts but too heavy to be safely moved by the ubiquitous handbarrow. A Mobot is manoeuvrable enough to work within the confines of a delivery truck. It is capable of lifting a stack of 10 crates and then putting another 10 on top, so it can fill a delivery truck to its full height, Haythorne said. The machines will also vastly improve health and safety conditions, increasing workplace productivity and reducing ACC costs, he said. After receiving some early expressions of interest in a concept vehicle he built more than 18 months ago from his then-employer, Goodman Fielder, as well as Fonterra and bread maker Tip Top, Haythorne quit his job to work full-time on his new company, Mobotech. A year ago Haythorne showed that prototype to the guys at angel investment firm Sparkbox Ventures. They liked what they saw and invested seed capital of $200,000 from the Global from Day One fund – a joint venture between Sparkbox and Auckland business incubator The Icehouse, with half the funding matched from the Government’s New Zealand Venture Investment Fund. A further boost was given to the fledgling company with a $112,000 grant from Callaghan Innovation. Sparkbox venture principal Mark Robotham said Mobots had great market potential. “The niche market in the bread and milk sectors is enough to make the business very successful, but there are other opportunities to extend it to wider markets,” he said. Haythorne has used his seed funding to create a final prototype, which he plans to show at a world baking expo in Las Vegas this month. He’s also about to embark on a second investment round to help fund Mobot’s manufacture and initiate sales in the US. Already having a track record with funders will make that process a lot easier, he said. Produced in association with the Angel Association of New Zealand. Christchurch-based Footfalls & Heartbeats has developed a manufacturing process that uses nanotechnology within the textile structure that acts as a sensor. The company says there’s potential for the fabric to be used in a wide range of applications, including the monitoring of patients’ vital signs in hospitals. In its latest funding round Footfalls & Heartbeats has secured investment from the Global From Day One programme, Wellington’s Sparkbox Ventures, the Government-backed New Zealand Venture Investment Fund and a group of private investors. The firm has also become the first Kiwi start-up to secure funding from the China Angels, an angel investment group linked to local business incubator The Icehouse made up of Chinese investors who reside in this country. Auckland investment firm Pacific Channel already held a cornerstone shareholding in Footfalls & Heartbeats and its head, Brent Ogilvie, has become the smart fabric company’s managing director. Ogilvie said the company’s first commercial application was a smart compression bandage, which would be used for wound care. Footfalls & Heartbeats said other areas its product could be used in included monitoring of infants, stroke patients, athletes and workers in high-risk environments. There was even potential for it to be used to measure mechanical stress in satellites, aircraft wings, wind turbine blades, yacht hulls and high-performance cars. Ogilvie said the firm planned to license its technology to other companies. The compression bandage was not expected to face any regulatory hurdles and it shouldn’t be “many more months” after the prototype is released before the product enters the market, he said. Footfalls & Heartbeats was founded by Kiwi chemistry researcher Simon McMaster, who is now based in Britain. AUT University and AgResearch have also been involved in the development of the fabric. 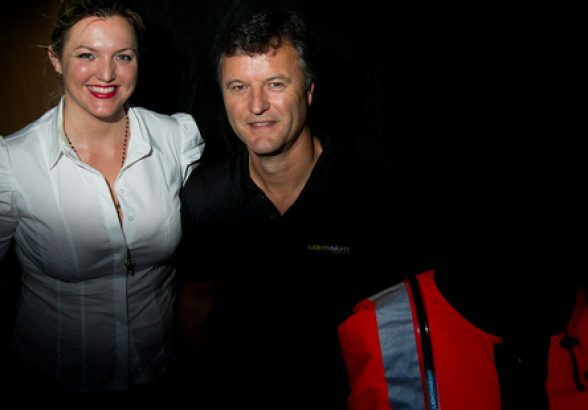 Auckland start-up Lightknight has just begun selling its worker illumination system but the firm already has an impressive list of customers and is focused on taking the New Zealand-developed technology worldwide. The St Johns-based company has created a lightweight, waterproof lighting system that can be retrofitted to existing high-visibility vests, which it says makes users stand out more at night than they would wearing conventional safety gear. Managing director Mario Vulinovich said the potentially life-saving electro-luminescent technology solved the problem of conventional vests being ineffective after dark. In addition, the Lightknight system could be transferred to new vests as older ones wore out, he said. Funding, including from Auckland’s Ice Angels investment group and the Government-backed New Zealand Venture Investment Fund, was secured in 2011. The Lightknight system, which is manufactured in China, was launched late last year and its local customers already include construction firms Fulton Hogan and Fletcher Building, as well as the Auckland Motorway Alliance, which is responsible for the upkeep of the city’s motorways. Across the Tasman the Victoria Mounted Police are testing the technology, with the illuminated strips going on the horses’ backsides as well as riders. Australian construction firm John Holland, and Leighton Contractors – which provides services to a range of industries including mining, infrastructure and telecommunications – have also ordered units. Ports of America, which operates 42 ports in the United States, and global miner Rio Tinto had ordered trial units. The Lightknight system costs $195 a unit, plus $10 for each retrofitting. He said the Ice Angels investment had allowed the firm to establish a solid board of directors. 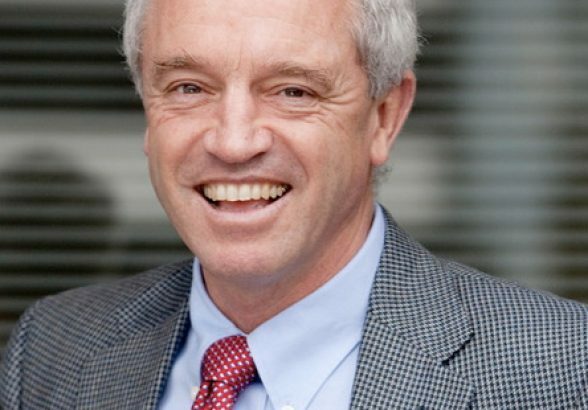 Lightknight’s chairman is Ron Halls, a New Zealander who was the chief executive of international footwear retailer Foot Locker from 2006 to 2011. 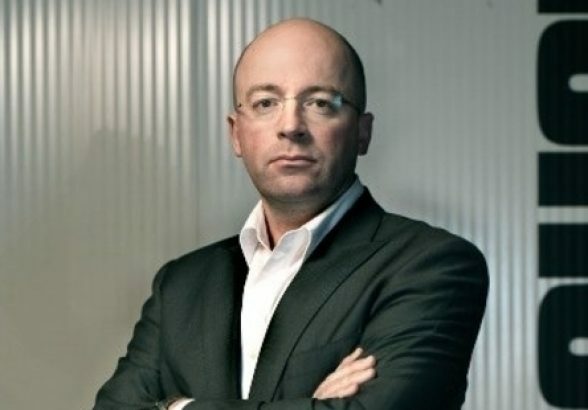 Also on the board is Nigel McLisky, Sigrid’s father, who co-founded Innovair, the developer of the RoboCan pest control product that was sold to household goods giant SC Johnson in 2008. Vulinovich said there was potential to supply to consumers, including cyclists. He added that Lightknight was likely to break even by the end of this year.